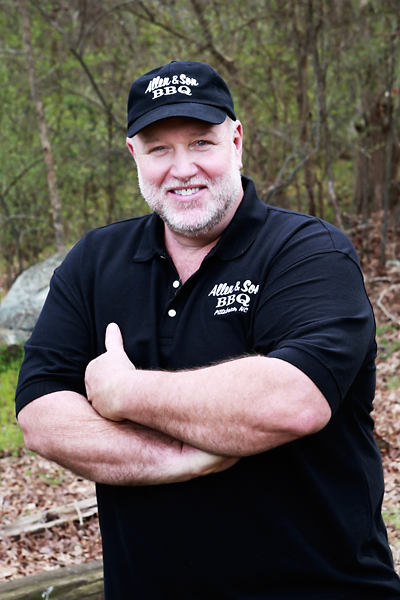 Jimmy Stubbs, the owner of Allen & Son BBQ in Pittsboro, has run the Pittsboro restaurant for almost 20 years. He took over the Pittsboro location from Keith Allen, who is the son of the original Allen. Allen & Son in Pittsboro is known for eastern North Carolina style chopped BBQ. In 2013 Jimmy opened Stubbs and Son BBQ in Sanford and it’s quickly become THE place in Sanford to get authentic BBQ. In 2017 Jimmy opened another Stubbs and Son BBQ in Carthage and again it again is the place to get authentic BBQ! The complimenting homemade coleslaw is second to none! It has a sweet and slightly spicy flavor that adds the perfect taste and texture to not only the BBQ but also the burgers, hot dogs or as a side dish. It’s made fresh every morning at Stubbs & Son. Many folks who frequent Stubbs & Son rave about Jimmy’s handcut, homemade french fries. These are sliced fresh daily from whole potatoes which make all the difference! At one time Jimmy attempted to change the fries on the menu but the customers convinced him to bring back the old fries. It’s more work for him but worth the effort for his loyal customers. Last, but not least, the hush puppies must be discussed! If you want golden brown sweet tasting hush puppies, Stubbs & Son is the place to be. Made fresh as you order they are delicious and can be addictive. Come hungry, we know you will go home satisfied and glad you came.